Now this I can agree with! @TheSkullAddict …what other PS4 games are you interested in? Of course there are many many more… the ones I listed above are almost all in the bargain bins or less than 20$ except Detroit and God of War. I wanted an Xbox One just to play Killer Instinct and ended up playing more games along with it. The same will happen again when I buy a PS4 for EX Fighting Layer. I don’t tell you how to spend your money, do not do the same for me. Cut the arguments and focus on the topic. 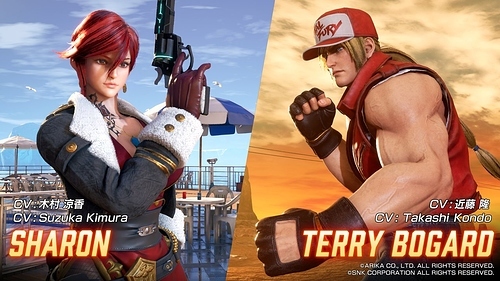 They’re including Terry Bogard for crying out loud. Street Fighter V (just so I can experience getting blacklisted by Low Tier God). Vulcano Rosso and Pullum Purna are now out and playable! tried them last night…didnt really like Pullum, but I dont know how to use her anyways. But had more fun with Volcano. Watched this video this morning too… made him look way cooler and dangerous. So how is this game overall? Is it like SF or KOF in terms of overall gameflow? I’m just curious since I was interested, but after finding out the last major discount was exclusive to PS Plus subscribers (the rest of us got a measly 10% price drop) my interest died for a while. But in the odd event they give a sale to everyone I want to know if it’s worth it. Also, when does the next DLC release? Terry was my main in KOF98 (though my current computer is too weak to run the Steam release, annoyingly), and I’m wondering how they’ll handle him in the Gougi systems and other mechanics unique to this game. Also wondering if he still has the “Overheat! Geyser!” super or is Buster Wolf all he has now. it plays like SF4 with a dash dash run core style. You dash dash run into combo. The combos dont seem to link if you are just standing still in front of your opponent. You have to run, then your combos link really fast. Its fun, but it doesnt seem to hold my attention like KI, since Ki has so much more opportunity to mix and match your combos. But it is definitely fun and fast! 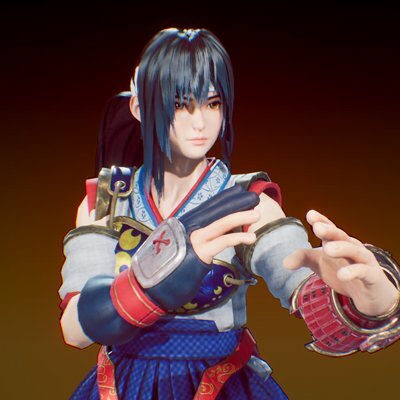 So what I assume is the developers posted this very nice (if grammatically challenged) post on twitter saying that the game has been modestly successful but the will continue to support it to improve it for the players and hope for future success. Exactly the kind of information and feedback from developers that we always ask for. #FEXL PS4 version was succeeded and we got the profit as we expected. But it was not huge success like as jack-pot. However, we are not satisfied with this result, we will continue to improve the game for further success. Hope the fans can get what they want. Couldn’t agree more…comment sections are usually a dumpster fire to the max anywhere a dev, producer, musician, celebrity ect is involved. I’m really surprised and a bit impressed that after so much time they are adding content for this game. Am I wrong or did the hype pretty much dry up? I was never a fan (too floaty) but I think I will buy this just to support another FG. Tey hype died for me because IM never on PS4 but I think your right, the hype just didnt stay consistent for the game since it just plays different than most games, and the lead up to the games release was also odd and it just didnt reach enough people. I enjyed it though but it did tend to feel repetitive game play wise as far as what the game plan was…for me anyways. I should get these characters fro free since I paid fro the ultimate edition or whatever its called. Am I wrong or did the hype pretty much dry up? One of the guys here in Singapore really liked the game. No one else in SG plays it though, and according to him the online is super, super dead. Not sure if that’s due to bad matchmaking or there just literally not being enough people online, but either way that’s definitely a recipe for a game to not last too long. It is 50% off on Steam apparently and actually being pushed quite a bit lately on social media by the Japanese fgc. Not super popular by any means but there seems renewed interest with the latest free updates, an interesting new character (Sharon) and now SNK’s Terry Bogard.